As some of you may have read, I recently got back from a lovely trip to Colorado. The trip itself was great, but between you and me, I may have eaten few more Voodoo Doughnuts during the trip than I’m okay with admitting. Eating healthy while traveling is hard. I don’t know how David and Luise over at Green Kitchen Stories do it. Personally, when I got home from that week in Denver, my body felt pretty beat up after how badly I was eating. Which brings me to cleansing / detoxing…. The medical community has all but debunked the idea of “detoxing” as we think of it (read: juice cleanses). I was pretty bummed when I read article after article about how the kidneys and liver basically do the job for you (no $60/day juice package required). But I think it’s wrong to dismiss the idea of detoxing/cleansing altogether. Even though there may be no “quick fix” by drinking juice or smoothies all day, the psychological effects of such practices cannot be ignored. The concept of a “fresh start” is something that is ingrained in nearly every culture in the world. While the methods of being cleansed or being born anew may differ from culture to culture, what cannot be denied is how the mental effects of being cleansed translate to our overall wellness. 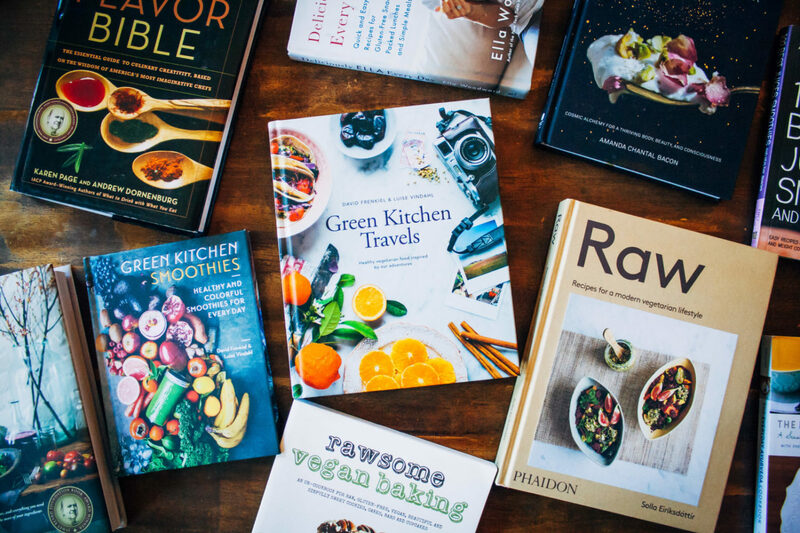 Read: you simply feel better when you eat better. 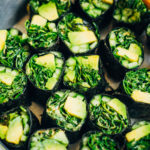 Just a quick note about making sushi – the actual rolling part can be rather difficult, so I would highly recommend looking at this fantastic tutorial by Minimalist Baker before you commence your sushi endeavors!! 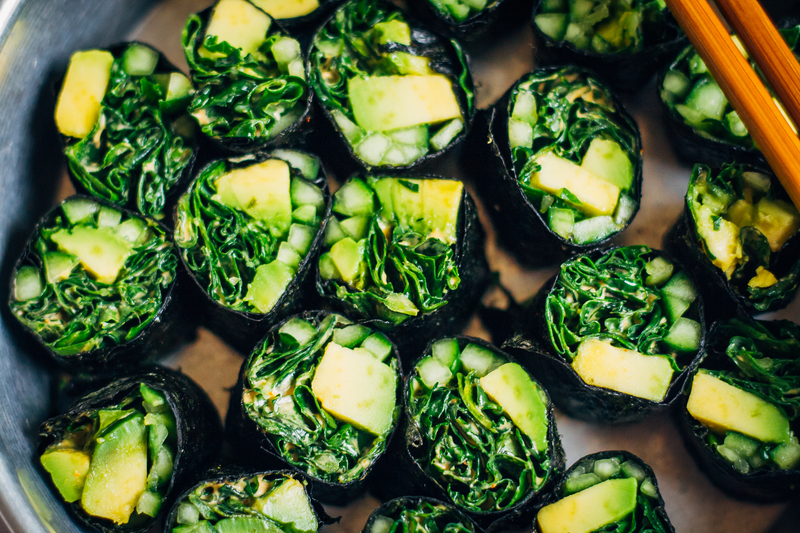 This raw, cleansing sushi roll is a delicious way to eat clean + vegan! First, prepare the kale salad. Take 1 cup (packed) kale and chop finely. 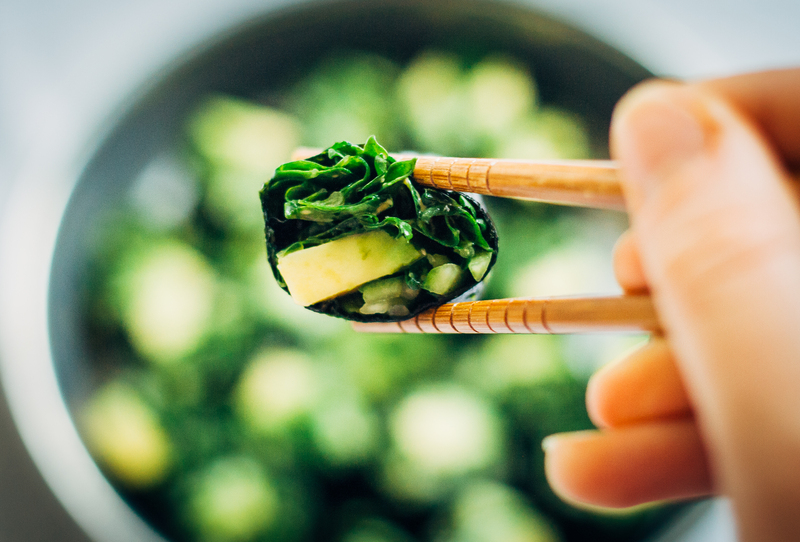 In a bowl, mix kale with 2 tbs vegan mayo and 1/2 tsp sriracha. Mix well, ensuring that kale is evenly coated. Prep the cucumber by slicing into thin strips. Likewise, prepare the avocado by slicing into thin chunks as well. You may have some veggies left over when you're done making your sushi! 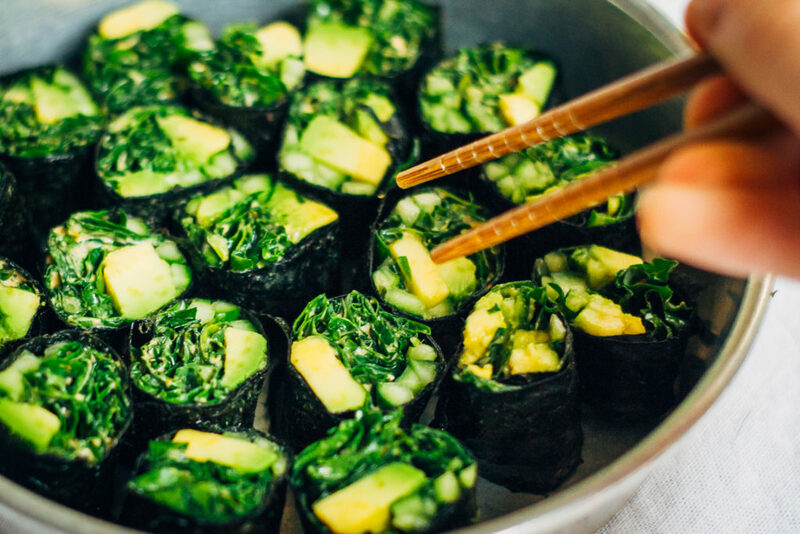 Start assembling the sushi by laying out your nori sheets. They should be set out wider than they are tall. About an inch from the edge closest to you, lay out the cucumbers, avocado, and kale salad in a strip about 1-2 inches wide. Note: if you have a sushi mat, this is the time to use it! If not, you can also roll the sushi by hand (which is what I did here). 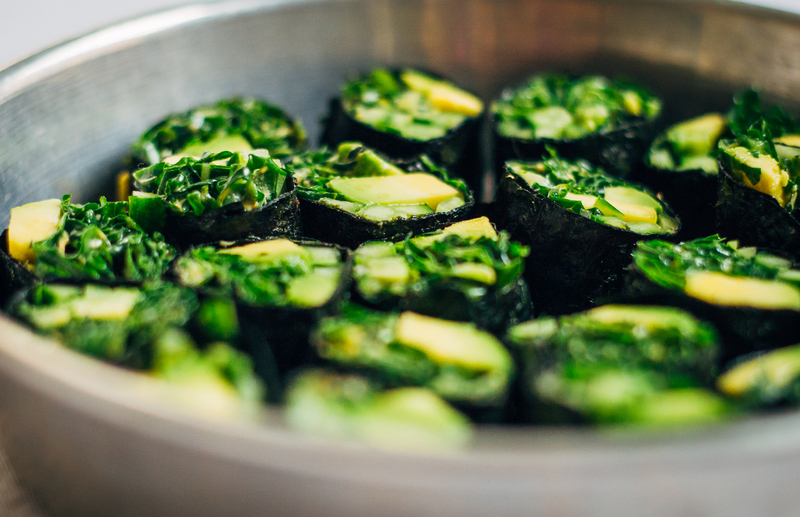 Using both hands, tuck the sushi filling in with your fingers and tightly wrap the nori around it. If it's not super tight, it might be harder to cut but that's not a problem! Once the sushi has been sufficiently rolled, take the sharpest knife in your kitchen and wet it with some water. Slice the sushi, wetting your knife between every 1-2 cuts. 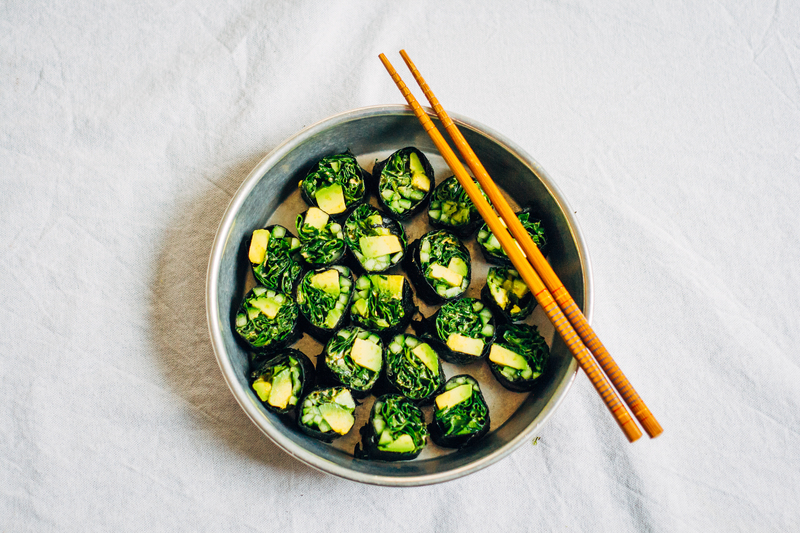 Serve sushi with tamari and extra sriracha (for my fellow spicy lovers out there). Enjoy! I love making my own sushi! 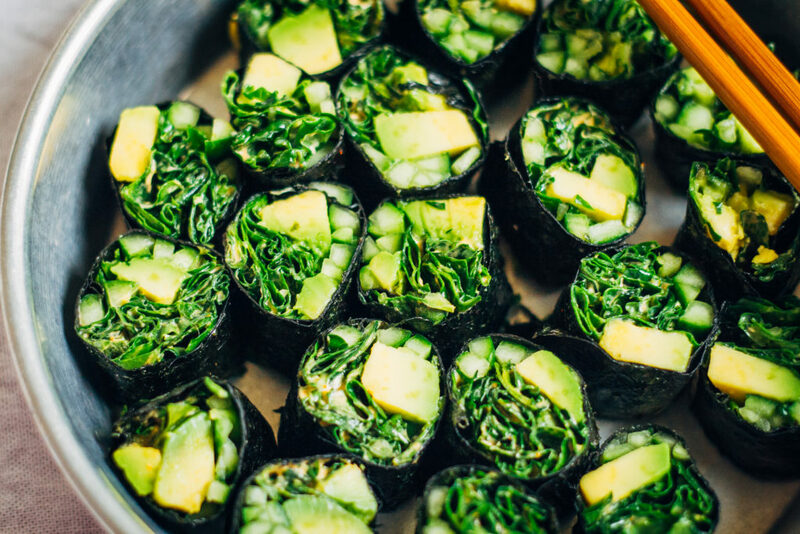 This version looks delicious – anything with kale is always a go:) Thanks for the inspiration! Having so much fun looking around your beautiful blog! Such vibrant green sushi here- delish! These look insanely delicious and yes healthy too :) You covered all the bases here my friend. Great idea and beautifully photographed as well! First, these look amazing and I am making them tomorrow! My garden is full of kale, yum! 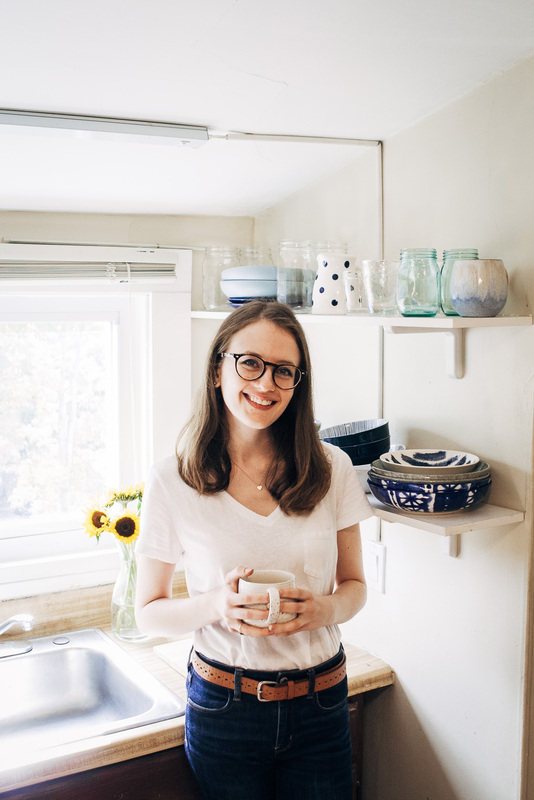 Second, I just found your blog through minimalist baker and I love what I’ve seen so far. I particularly enjoyed your about page. Short, sweet and significant at all the right points. Well and full and grateful :-) . I hope to see more of Ivy! This is the perfect reset meal, fresh, green and bright and still super flavorful and delicious! Gorgeous photography too! 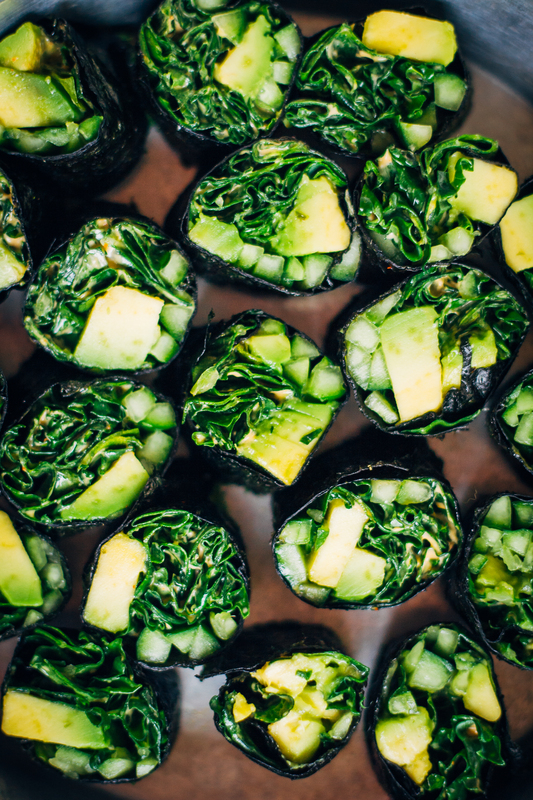 We love making our own nori rolls. Sometimes we add quinoa but my favourites involve nothing else then veggies. Sauerkraut makes for a yummy and gut-healthy roll too! These look incredible and your blog is so cool!!! My kind of meal. These look and sound perfecto! I will definetly try these in autumn when I am back in Ireland, they look amazing! Sarah, detoxing or not, this looks so delicious it has to be good for you and cleansing. Judging from the number of comments, everyone else thinks so as well. I make a lot of salad rolls and this would be great in rice paper as well. Thanks for posting.